CSA Group has nearly 2,000 team members around the world. Our technical expertise and investment in research and innovation have helped us build public trust for more than 100 years. No matter where you manufacture or sell your products, CSA Group has a dedicated team near you. We offer expert services and custom solutions that help speed your product to market while ensuring compliance. 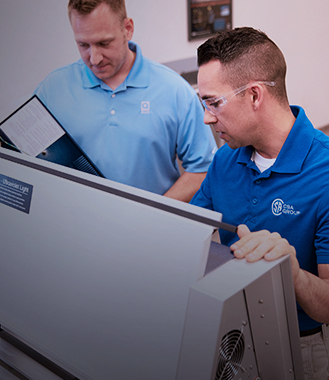 CSA Group can help test, inspect, and certify your desktop computers and workstations, helping you access this growing, but highly-competitive market. Access new customers in this competitive sector of the personal computing market with our globally-recognized testing & certification services. Depend on our specialized expertise with commercial printers, designed to help ensure the compliance and safety of products for employees and other consumers. Get the marks you need to access your target markets by working with our technical experts and superior customer service staff. Boost customer confidence in your computer monitors and displays with a trusted CSA Group mark. Our certification process helps ensure your compliance with safety requirements and our recognized mark helps boosts consumer confidence in your power supply products. Learn how we are developing a new test procedure and measurement infrastructure to more accurately assess the real- world energy consumption of computers. 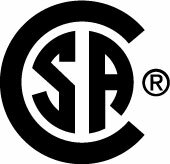 CSA Group has been improving safety, quality, and sustainability through the development of high-quality standards for more than 100 years. Access the standards you need to help develop safe products for market. We offer expert services and custom solutions that help reduce time to market and help you comply with global compliance requirements.